09 Apr 2019 --- Greater uncertainty caused by the thrall’s of Brexit is continuing to impact retail spending in the UK as consumers remain “cautious” over what is to come. The political chaos and never-ending Brexit saga are causing people to hold off from splashing out, according to the latest British Retail Consortium-KPMG figures. Consumers were wary of making big purchases in March. Consumer spending declined last month due to Brexit concerns and the late timing of the Easter holiday also held back shoppers. March 29 was the initial deadline date which would have seen the UK officially leave the EU but following a series of votes, amendments and high-level political talks, no further clarity around Brexit came to light and shoppers continue to waiver. The current Brexit deadline has now been pushed back to this Friday (April 12) as UK Prime Minister Theresa May tries to find a way to move forward. “Retail sales slowed in March, even when the Easter distortions were accounted for, as greater uncertainty caused people to hold off from splashing out. Shoppers were generally cautious not to overspend, particularly on larger items,” says Helen Dickinson, BRC Chief Executive. “Brexit continues to feed the uncertainty among consumers. For the sake of everyone, MPs must rally behind a plan of action that avoids no deal – and quickly – or it will be ordinary families who suffer as a result of higher prices and less choice on the shelves,” she notes. On a total basis, sales decreased by 0.5 percent in March, against an increase of 2.3 percent in March 2018. This was below both the three month and 12-month average increases of 0.6 percent and 0.9 percent respectively. The two-year average growth was 0.9 percent per annum, a slowdown from February’s equivalent of 1.1 percent. Covering the four weeks from February 24 to March 30, the figures are negatively distorted by the timing of the run-up to Easter, which is later this month compared to March in the previous year. One way of correcting for this distortion is to look at the two-year average, since the Easter effect was reversed last year, boosting the sales growth in March 2018. Over the three months to March, Food sales increased 0.2 percent on a like-for-like basis and 1.3 percent on a Total basis. This is below the 12-month Total average growth of 2.0 percent. In March, UK retail sales decreased by 1.1 percent on a like-for-like basis from March 2018, when they had increased 1.4 percent from the preceding year. The two-year average like-for-like growth was 0.1 percent per annum, a slowdown from February’s 0.3 percent. Over the three months to March, In-store sales of Non-Food items declined 1.5 percent on a Total basis and 1.7 percent on a like-for-like basis. This is above the 12-month Total average decline of 2.1 percent. Online, the three-month and 12-month average growths were 4.5 percent and 6.4 percent respectively. Over the three-months to March, Non-Food retail sales in the UK were flat on a like-for-like basis and increased 0.1 percent on a Total basis. This is broadly in line with the 12-month Total average of 0.0 percent. Online sales of Non-Food products grew 3.0 percent in March, against a growth of 7.9 percent in March 2018. The two-year average growth was 5.4 percent per annum, a slowdown from February’s 5.9 percent. Online penetration rate increased from 28.5 percent in March 2018 to 29.9 percent last month. “March marked a truly disappointing end to the first quarter of 2019 for retailers. Not only did Total sales fall 0.5 percent compared to the same month last year, but no further clarity around Brexit came to light, and shoppers continue to waiver,” adds Sue Richardson, Retail Director UK at KPMG. “Online sales may have performed better than the high street, but the high proportion of sales occurring online actually nods towards the underlying issue of profit pressure. Retailers will be hoping for an end to this sustained uncertainty – it’s clearly not good for business – but times have already well and truly changed and agility remains the best form of defense,” she adds. Last week, figures from the BRC-Nielsen Shop Price Index showed how global commodity prices and weather events pushed up UK food prices in March. Increases in global cereal prices drove up bread and cereal prices, while bad weather during 2018 negatively impacted yields of several UK crops, including onions, potatoes and cabbage. As a result, these products are now seeing significant price inflations. But experts also warned a bigger issue still for British shoppers are uncertainties surrounding Brexit. In theory, currently, the UK is leaving the EU this Friday. However, EU leaders are due to meet at a summit in Brussels tomorrow to discuss whether to grant a further delay to the UK’s Brexit date. They could possibly offer a delay until June 30 which gives the UK government more time to agree the terms of the deal which has so far failed to get a consensus. 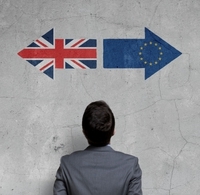 The food and beverage industry at large has been warning of the dangers of a no-deal scenario for many months as businesses would be catastrophically affected by the trading challenges that a no-deal presents.